Have you started planning your Thanksgiving feast yet? 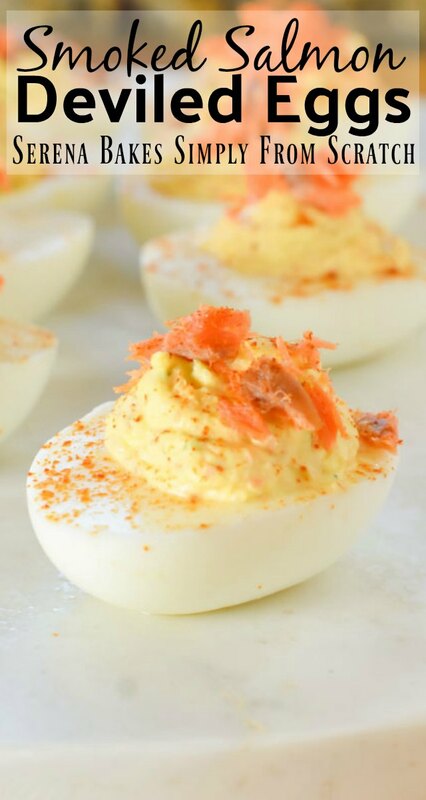 Whether you have or haven't you have to add Smoke Salmon Deviled Eggs to your menu! They look so luxurious, but are actually a fairly easy to make recipe. 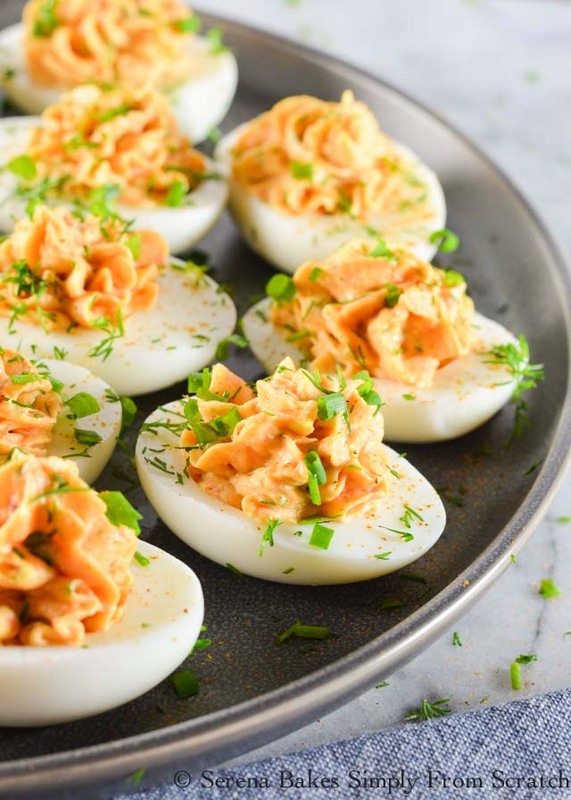 Back around Easter when I shared the way I make Easy Peel Hard Boiled Eggs I had promised the recipe for these Smoke Salmon Deviled Eggs. Colt had taken photos, and some how the recipe I had written down disappeared. I still don't know where it went. So as promised I finally remade them, and wrote down the measurements. 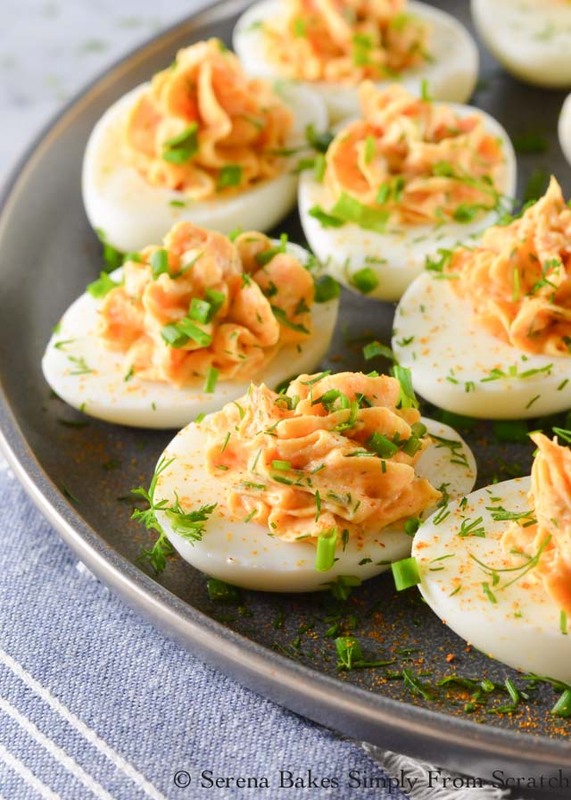 They are a bit of a twist on my Mother-in-law's classic deviled eggs. She uses sweet pickle juice instead of dill and no herbs, but they are absolutely divine for a basic recipe. I'll have to share the recipe hopefully sooner then later. If you aren't big on the fresh herbs for a garnish you can use extra smoked salmon like the last photo or just a little cayenne pepper or smoked paprika or you could just add a little of everything! 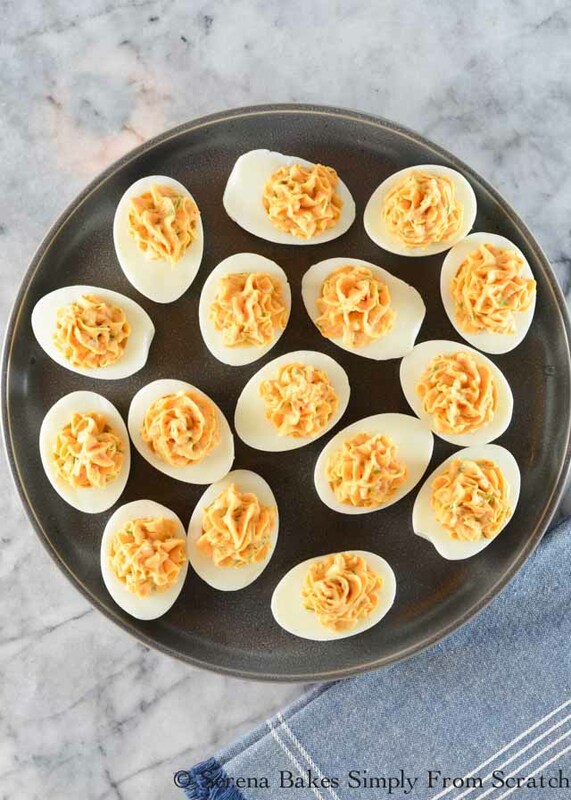 You'll need 8 Easy Peel Hard Boiled Eggs. You can double or triple this recipe as needed. Cool in cold ice water after cooking. 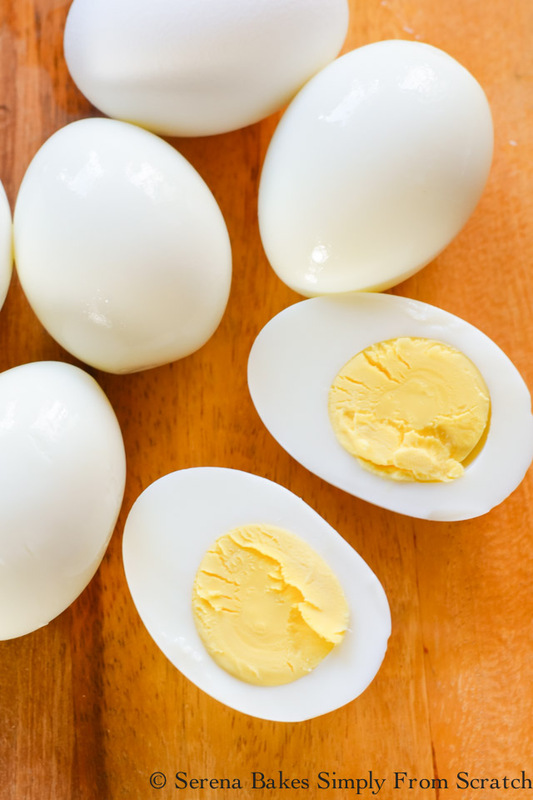 Cut eggs in half and remove egg yolks. Set egg whites aside on a platter. 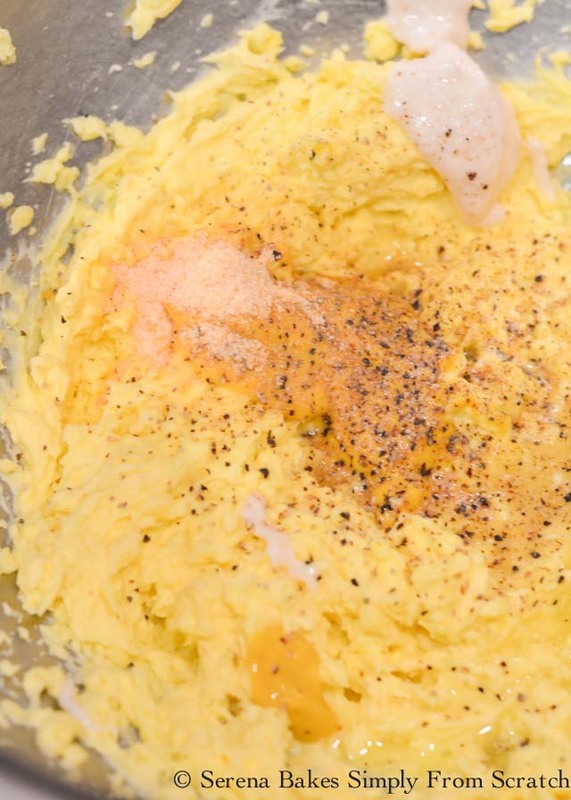 Use a fork or food processor, and break egg yolks up until finally smashed. Add 1/4 cup Mayonnaise and 2 tablespoons Sour Cream. Using a mixer, hand mixer, or food processor beat until light, and creamy. I find this makes for a creamier filling then just mixing by hand. Beat until super creamy. Scrape down sides of bowl, and mix well. Beat until well combined. Scrape sides of bowl as needed. Taste filling, and add salt if needed. The smoked salmon and pickle juice are both salty so it will depend on how salty they both are if you will need any additional salt. It's much easier to add a little additional salt then to salt early on only to discover your filling is too salty at the end. Divide filling between eggs. You can use 2 spoons, a large ziplock bag with the corner cut off, or large pastry bag tip to fill eggs. Or garnish with additional Smoked Salmon. It's absolutely delicious either way! 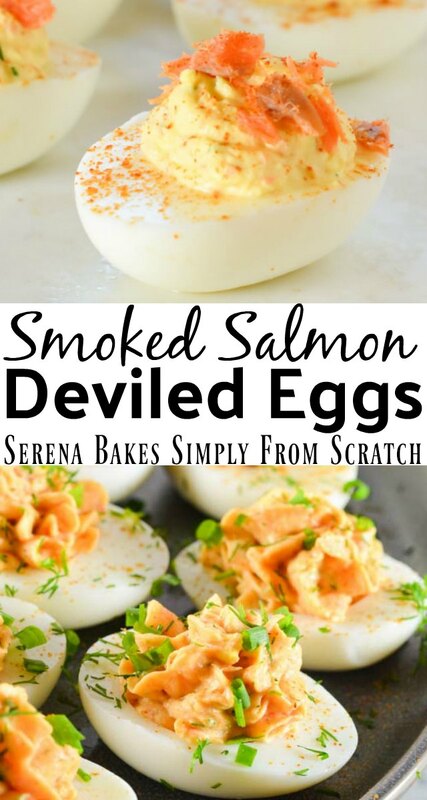 Smoked Salmon Deviled Eggs are a favorite twist on the classic deviled eggs from Serena Bakes Simply From Scratch. Cool eggs in ice water after cooking, until cold. Peel eggs, and cut in half. 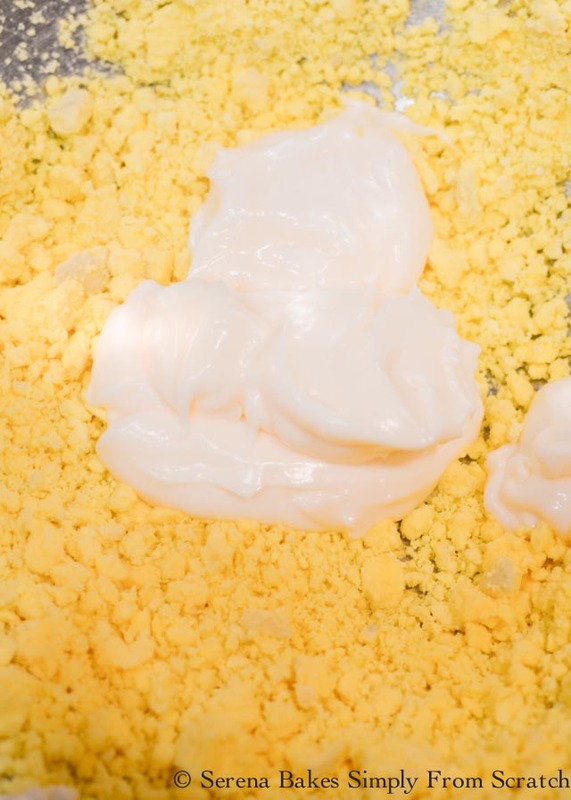 Gently scoop yolks out of whites, and mash yolks with a fork or food processor until fine. Add mayonnaise and sour cream. 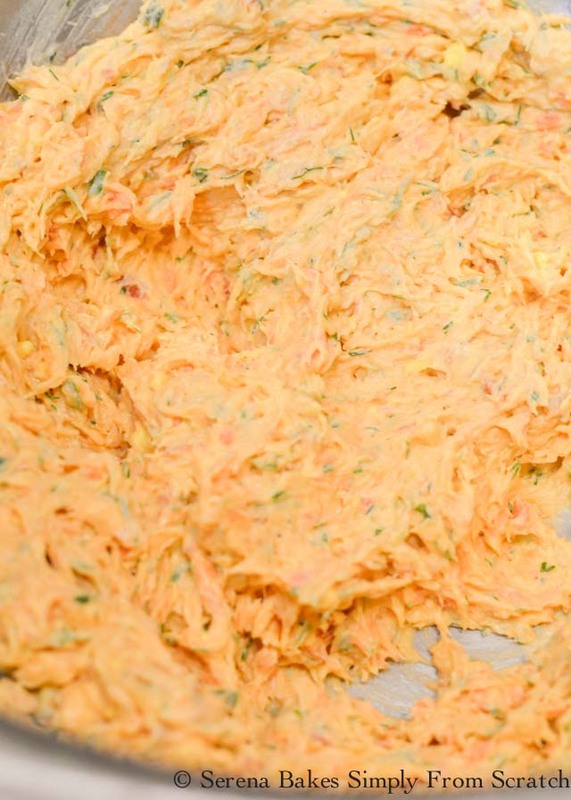 Beat with a food processor, or mixer, until light and creamy. Beat in pickle juice, horseradish, mustard, granulated garlic, cayenne or smoked paprika, and ground pepper. Scrape sides of bowl well. 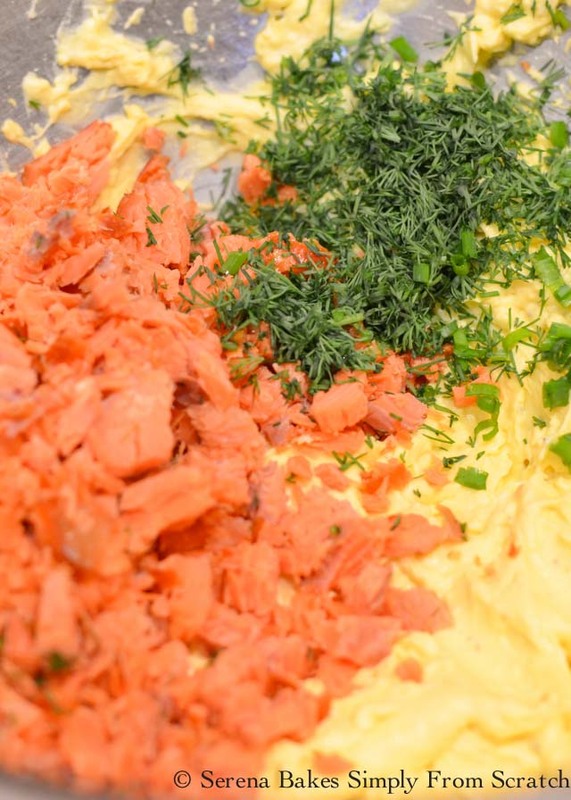 Add smoked salmon, dill, and chives. Beat until well combined. Taste filling and add salt if needed. The salmon and pickle juice have a tendency to be salty enough. Divide filling between eggs. Use 2 spoons, or large ziplock bag with the corner cut off, or large pastry bag tip. 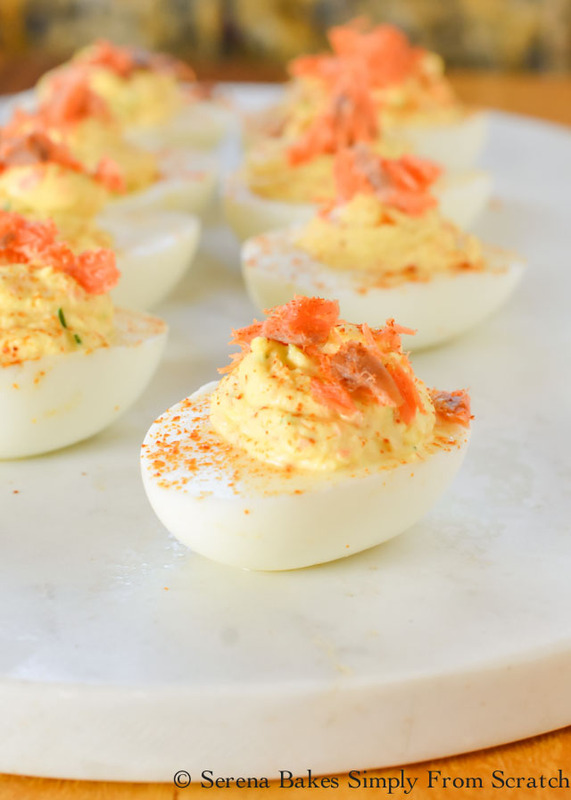 Dust eggs lightly with cayenne pepper, or smoked paprika. Recipes can be doubled or tripled for desired number of eggs. Such a great fancy touch for holidays and parties. I love adding dill pickle juice, but the salmon is what really steals the show!